In discovering the Great Smoky Mountains Byway, you have found one of the most eclectic and heritage-rich cross-sections of everything that Tennessee has to offer. For 200 miles along the foothills of the Great Smoky Mountains, you will find wonderful adventures in our mountains, on our rivers, in our historic downtowns, and in our farms and villages. The history of Tennessee and the history of America grew from our region, and our byway gives you a firsthand tour of that history and culture. Explore the land of Davy Crockett and Daniel Boone, the first breakaway state after the Revolutionary War, where the seeds of the Emancipation Movement where sown, the home of the National Storytelling Festival, the birthplace of country music and the heart and origin of the American Arts and Crafts Movement. The Great Smoky Mountains Byway will lead you to the all of the beginnings of our great state of Tennessee. Take a long weekend and stay in our historic inns, our B&B’s. Dine in our variety of local restaurants. Shop in our historic downtowns. Have fun at our many festivals. And of course, when you’re ready for some action, kick back and hoot and holler in Pigeon Forge and Dollywood, one of America’s premier tourism destinations. From the penguins and sharks at the Ripley’s aquarium, to a country music jamboree to bumper cars and corn dogs, Pigeon Forge and Dollywood will give you fun memories that last a lifetime- the perfect complement to a leisurely drive through the Great Smoky Mountains. Use the Navigation pane to the right to find out how to get around, the points of interest, information about each county, photos and more! 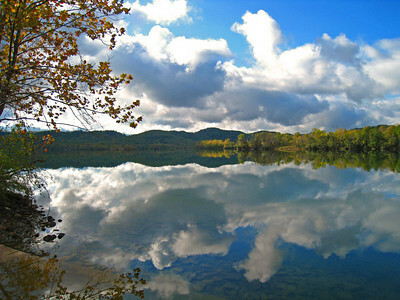 Happy exploring, we are glad you are here, and welcome to East Tennessee! When you visit our byway, we want you to jump into our culture. Find the musician in yourself. Become a story teller. Create a piece of fine art or craft work. Learn what it means at a personal level to struggle against discrimination and conflict. Explore the oldest mountains and rivers in America. Challenge yourself with the exhilaration of climbing a steep mountain or plunging down a churning, foaming river. 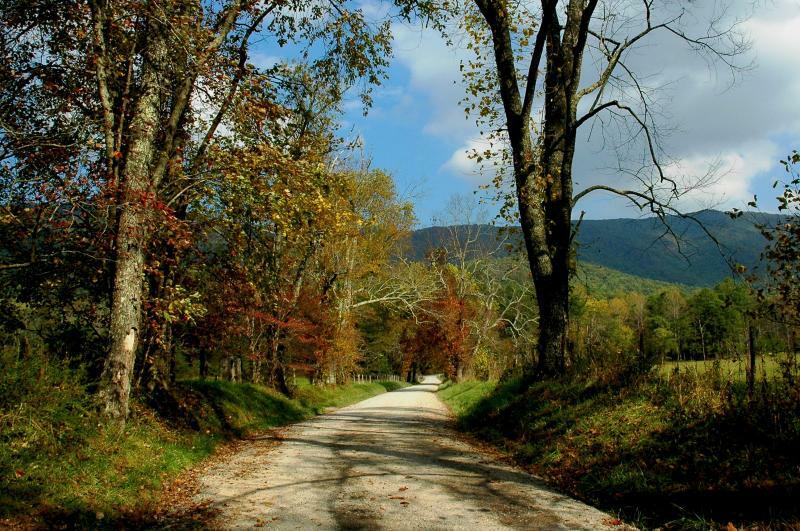 Savor the solitude of a back country road and the snap of a crisp mountain apple. The premier destination along the Great Smoky Mountains byway is the Great Smoky Mountains National Park. Combined with the surrounding public lands of the Cherokee, Pisgah and Nantahala National Forests, this amazing swath of public lands is almost as large as Yellowstone National Park. The perfect way to explore this beautiful region is by traveling along the Great Smoky Mountains Byway and then creating a grand circle by following the path of the Blue Ridge Parkway back to the beginning of your journey. Appalachian natural wonders, arts and crafts, charming downtowns - it all awaits you along this Grand Circle of the Smokies.